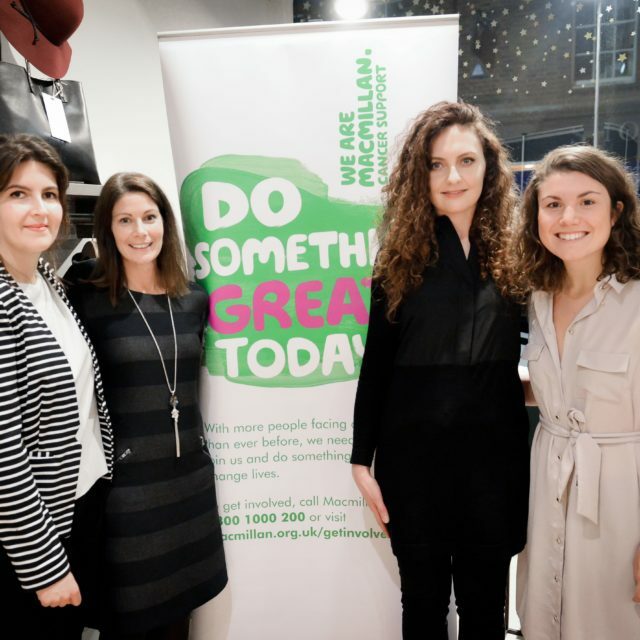 Throughout the year we host a number of leadership events and Macmillan charity fundraisers - you can find the details of all of these here. 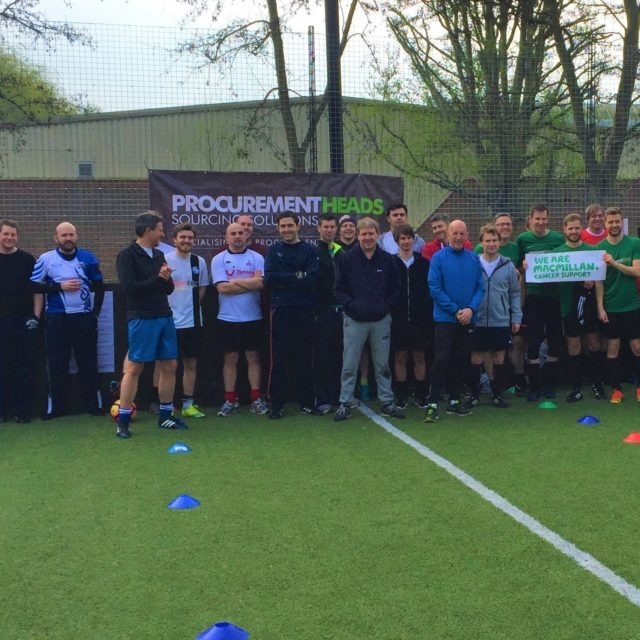 Procurement Heads is proud to be hosting the third Charity 5-a-side Football Tournament in aid of Macmillan Cancer Support at River Park Leisure Centre In Winchester. We’re looking for teams with a maximum of 8 players to play in 2 groups, 15 minutes per game. Refreshments will be provided, and anybody who’d like to spectate and support is more than welcome. To find out more or register your team click here! 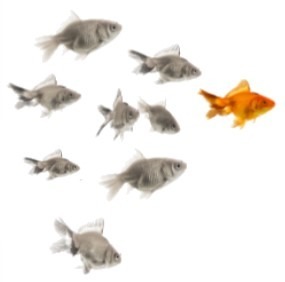 We teamed up with The Colour Works Howard Scott (Consultant, Facilitator and Coach) and delivered an interactive and lively Leadership Forum designed for Procurement Leaders invested in the training and development of their teams. Attendees were able to network with fellow Procurement professionals before Howard began the forum using the Insights Discovery Model. Our annual Fashion evening takes place at the Hobbs store in Winchester, where the store opens late for our exclusive event. We explore new lines, receive 10% off shopping all night with personal shopping provided by the Hobbs girls and beauty advice from Clarins consultants. At the end of the night, after Hobbs donated 10% of the money spent, £631 had been raised for Macmillan! 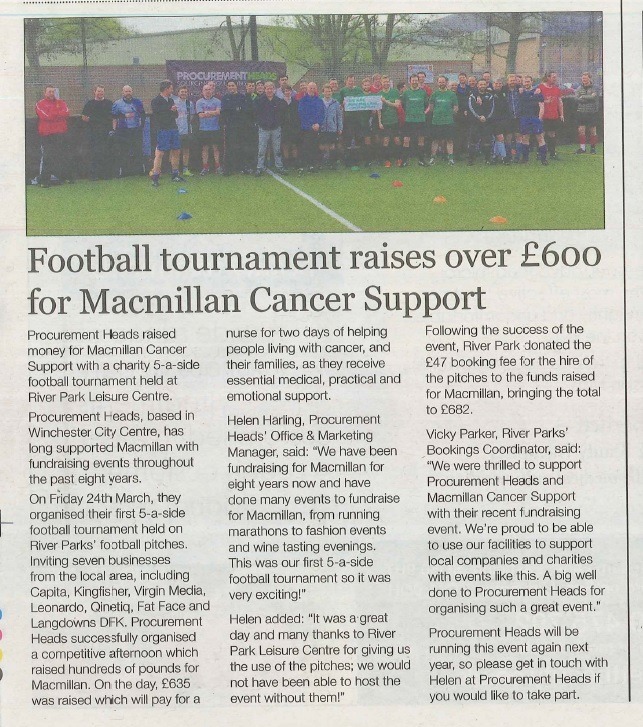 For the second year running, we hosted our 5-a-side Football Tournament in aid of Macmillan. Teams from Old Mutual Wealth, Bayer, NATS, Langdowns, Anytime Fitness and Capita attempted to win the trophy from last years winners – Leonardo, and Bayer succeeded! This event raised £550 for Macmillan, with the help and support of the teams and a number of local businesses. Procurement Heads Director and keen cyclist, Rupert Gaster cycled the 100 mile challenge on 16th September. raising money for the official event charity CALM (Campaign Against Living Miserably) as well as our chosen charity Macmillan Cancer Support. We’re really pleased to say the event raised £1290 for Macmillan! 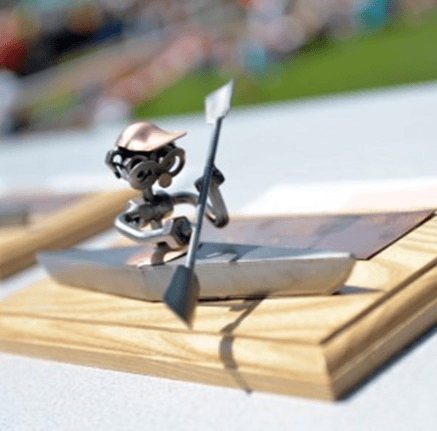 The Winchester Pedal Paddle Pace is a unique form of triathlon that includes a 20km road bike, 5km run and 2km kayak. Procurement Heads has taken part in both the 2016 and 2017 events and is looking forward to taking part in the next event which takes place in July 2018. We’re always up for any challenge that involves a bit of sporting activity in the name of Macmillan! Hosted at the local Hobbs store in Winchester in the name of Macmillan. 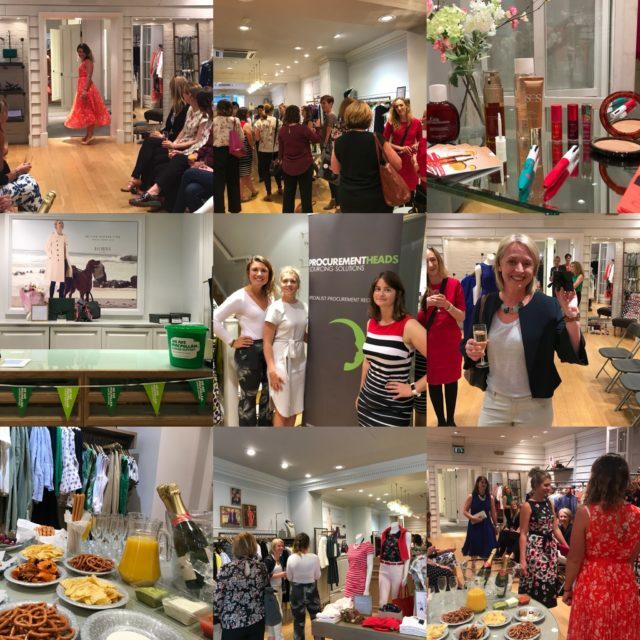 Hobbs generously opened the store after hours for a first look at the new season releases – offering 10% discount with a further 10% donated directly to Macmillan, luxury goodie bags, refreshments and a raffle for an £100 Hobbs voucher. The evening raised over £600! 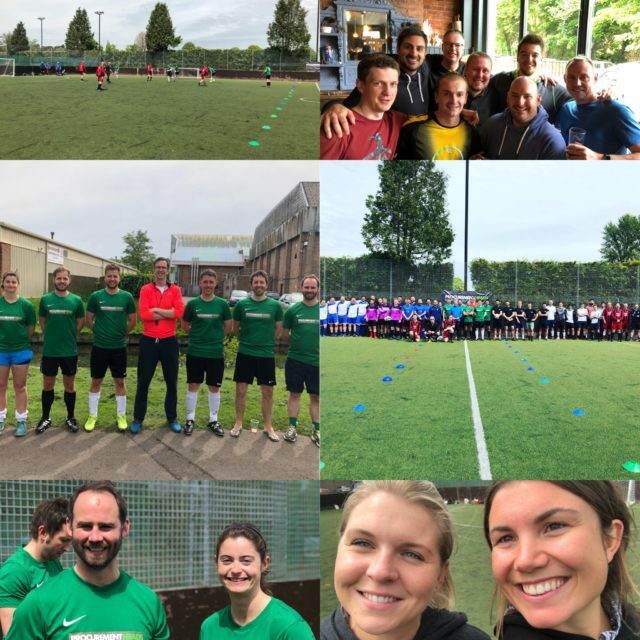 Confident in the abilities of our super fit team of consultants, we challenged some local businesses to a football tournaments as part of our Macmillan fundraising initiative. Capita, Kingfisher, Virgin Media, Leonardo, Qinetiq, Fat Face and Langdowns DFK attended our event . Together we raised £682 for Macmillan, which we’re really proud of. 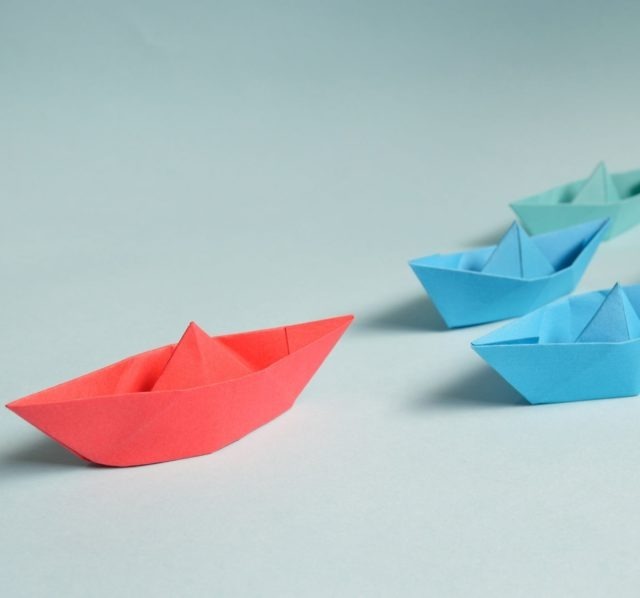 In conjunction with David Chapman of Practical Coach Training and the employment law team at DMH Stallard, our 2016 eadership Forum offered attendees the opportunity to develop their coaching skills. 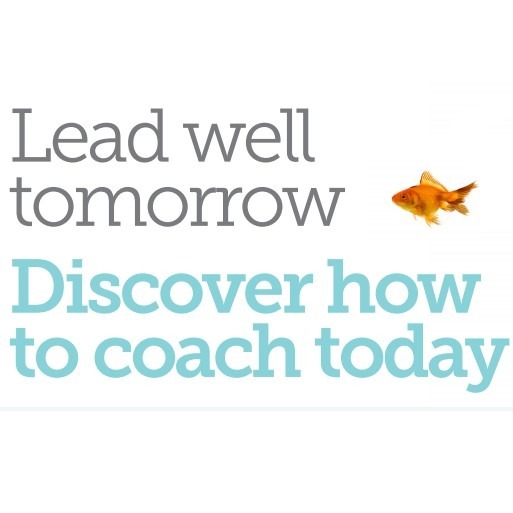 David encouraged attendees to consider what coaching actually meant to them and their business.